Park in the parking garage on Hoy Road highlighted on map. 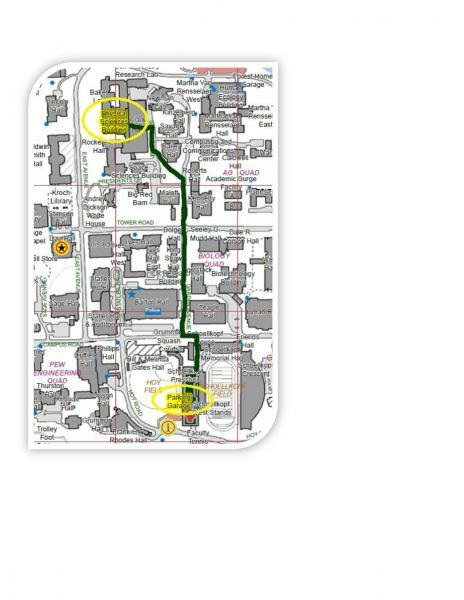 Follow the highlighted route till you come to Clark Hall. This is about a 10 minute walk. Follow the ramp down into the Physical Sciences Building through the glass doors. You will see the sign for the Symposium. Use local roads to I-90 (The New York State Thruway, portions toll).